Sixth in the first of four Web.Com Tour Final series, Anirban Lahiri was even par 72 and tied 71st after the first day, but at two-under 142, he was tied 44th, up 27 places. Anirban Lahiri took another step closer to achieving his immediate goal of securing a PGA Tour card for 2016, as he played a steady round of two-under 70 and coasted into the weekend rounds of the Small Business Connection Championship at River Run, the second of four Web.com Tour Finals events. 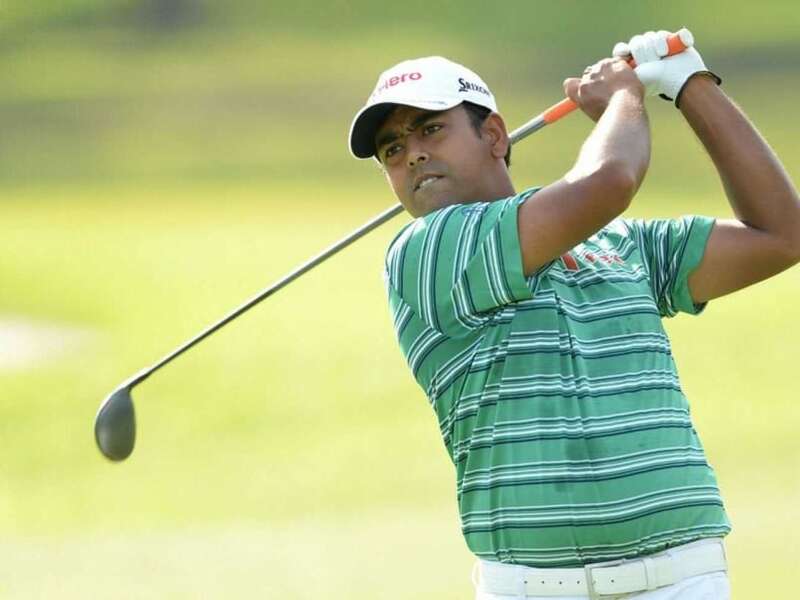 Sixth in the first of four Web.Com Tour Final series, Lahiri was even par 72 and tied 71st after the first day, but at two-under 142, he was tied 44th, up 27 places. But more crucially, the money he will make this week will probably ensure that he stays in top-25 of the Money List of the Four event Finals, where 50 cards -- 25 for the Top earners in Regular schedule and another 25 from a separate money list compiled for Finals. Lahiri had said before the start of the Finals, that he was planning to play three of the four events and take a week off before the President's Cup. "I'll definitely be heading home (after the third event). Hopefully it's not the case if I'm in 20th or whatever it might be. I do know I'm going to get quite a few opportunities regardless of competing on the PGA TOUR next year. I just want it to be more than 12 events because that's what I had this year, and I put a lot of pressure on myself in trying to get my card in those limited starts. "So this whole effort (playing the Web.com Tour Finals) is to give myself more opportunities, and if it happens these next few weeks, then fantastic, otherwise I'll be back," said Lahiri. Despite coming in with a 70 in the second round, Lahiri found only 58 per cent of the fairways but three-fourths of the greens in regulation. And once again he needed more than 30 putts for the round. The two-time winner on European and Asian Tours in Malaysia and Hero Indian Open, Lahiri, starting on the 10th in the company of Japan's Hiroshi Iwata and American Jamie Lovemark, got his first birdie on par-5 12th and then played steady till the par-3 17th where another birdie brought him to two-under. He bogeyed the par-5 18th, where he missed the fairway and then had to take a penalty drop and holed out in six. After the turn, he birdied the par-5 second and added a fourth birdie for the day at par-4 seventh. A three-putt bogey on his closing hole ninth saw him turn in a card of 70. Lahiri will play the third round with Scott Langley. Brett Stegmaier from Florida, the first round leader added a composed round of 4-under-par 68 to take a one-stroke lead over Eric Axley through 36 holes. Stegmaier, eighth last week in Hotel Fitness Championships, turned in his second consecutive bogey-free round today but didn't birdie any of the four par-5s at River Run Country Club in suburban Charlotte. Playing in the afternoon wave of tee times, the lanky 32-year-old started his round with a birdie at No. 1 from four feet and he hit a wedge to two feet for birdie at the par-4, third hole. After making the turn, Stegmaier birdied the par-4, 10th hole, after hitting an 8-iron shot 10 feet from the hole. His last birdie was a 15-footer at the long par-3, 17th hole. Axley, the 2006 Valero Texas Open winner on the PGA TOUR and also the 2005 Rex Hospital Open champion on the Web.com Tour in Raleigh, jumped into the mix after making six birdies on his first nine holes. After a bogey at the 10th, the left-handed Axley birdied No. 15 and then closed with a birdie at the 18th hole to pull within one of Stegmaier's lead. Zack Fischer, a second-year player on the Web.com Tour, is alone in third place, two strokes back of Stegmaier, while Argentina's Emiliano Grillo is tied for fourth place with Ryan Spears and Andrew Yun, three shots off the pace. It is only the third year for the 'Finals' format for Web.com and the last two years, the 25th finisher in the "Finals Money List" had USD 33,650.00 (Bobby Gates in 2013) and USD 36,311.66 (Eric Axley in 2014). So, Lahiri with USD 34,750 in the first event will need one small push to ensure one of the 25 cards for 2016.